Waste has an extremely negative impact on the environment and recycling is one of the most effective ways for environment protection. Apart from protecting the environment by saving energy and non-renewable natural resources, preventing global pollution, recycling also positively affects the whole economy of a country. There are several rooted myths that people most often use as an excuse against recycling. Recycling has its costs – this is true, but storage of waste is sometimes even more expensive. According to statistics from the US Agency for Environmental Protection (EPA), a well-organized recycling process costs from 45 – 135 EUR per tonne of waste. On the other hand, proper storage of the same quantity of garbage is between 65-180 EUR. The recycling industry creates new jobs, too. On every 15.000 tonnes of garbage, new workplaces are opened for 10 workers. The recycling also spends energy – often mentioned example is a recycling truck that transports the waste. This statement is true and recycling requires some energy, but much less. Manufacturing with recycled materials consumes 50% less energy than the production of the same products with raw materials. For example, recycling aluminum cans saves 95% of energy, around 4777l oil and 14 000h kw energy than the production of natural raw materials. Biodegradable plastics don’t have to be recycled – very wrong statement. By degradation of inadequately treated degradable plastic, methane gas is released into the atmosphere. Methane has a much stronger influence on the appearance of so-called Greenhouse than CO2. We already recycle as much as we can – is one of the most common excuses. Although awareness of the recycling importance is spreading and more people realize the importance of waste disposal, there is still a lot of space for improvement. On average, in developed countries, 28% of waste is recycled, and it could be over 50%. 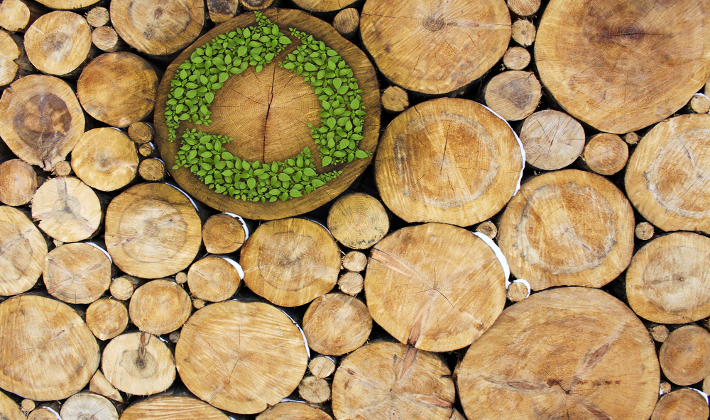 People do not like to buy recycled products – on the contrary. Customers are often motivated by lower price and their conscience to buy these products. Not only that these recycled products significantly contribute to environment protection, they are often twice cheaper than non recycled products. Waste incineration in furnaces is easier and better than recycling – by simply waste incineration in special furnaces a certain amount of energy could be produced, it is true. On the other hand, there would be the transmission of large amounts of pollution into the air, which would contribute to the creation of the greenhouse effect. For example, by burning a plastic bag, the amount of used oxygen is the same as man’s daily need. Also, this method would take its toll through higher taxes, but also through our health, which is priceless. Waste will be decomposed anyway – the truth, it will. However, certain types of plastic need about 1000 years to be decomposed in nature and the glass bottle may never decompose if it’s not broken. By recycling just one glass bottle we can save enough energy for light bulbs to continuously glow for 4 days. Tin cans need from 100 – 400 years to decompose and aluminum can be recycled indefinitely. Recycling does not affect the natural resources – on the contrary, recycling drastically reduce the need for use natural resources like trees, oil, coal, and water. Just by recycling newspapers 250 million trees could be saved, per year. Over 60% garbage that ends up in the trash can be recycled. Definitely, there is no good excuse not to try to make our contribution to environmental protection, starting today. Everyone could and should be more educated on how small changes in our behavior can be of global significance for our planet.